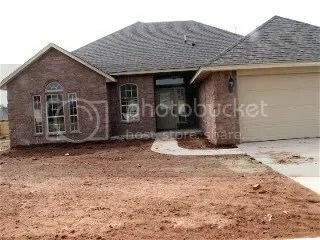 We currently have three homes available in Edmond, in the Kimberly Crossings addition. Kimberly Crossings is nestled down away from the street between Sante Fe and Kelly off of Edmond Road. Turn north on Dooley Farms Rd. right by the Arvest Bank. Drive down into the gated community and veer to the right to Ada Sage Lane where our 3 homes are located on the south side of the street. Look for the American Eagle Signs and red white and blue. 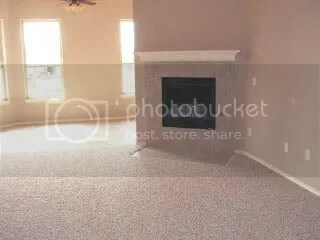 1732 Ada Sage Lane is such a hottie! The Listing Price is $179,900. Obviously, it is so brand spanking new that we don’t even have it landscaped yet. But take a peek inside. Notice those windows along the back of the house? Those are the most fantastic feature of this home. There is a galley between the great room and the eating area, lined with these huge windows. The day I was taking pictures in there the light was just streaming everywhere! It was such a cheery atmosphere. 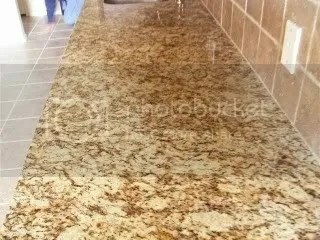 This is the rich butternut granite countertop. This home should be open Saturday and Sunday from 2-4 p.m. Come by and see it. Isn’t it time you started living your dreams?